The Illinois Court of Appeals ruled in favor of Lewis Rice clients in an insurance coverage dispute concerning a State of Illinois group health plan. Subsequently, the Illinois Supreme Court denied the plaintiff's request to further appeal. In its ruling, the Court of Appeals affirmed the trial court's dismissal of the action against Lewis Rice's clients, The WellPoint Companies, Inc., HealthLink, Inc., and HealthLink HMO, Inc., holding that none of the requested relief was available as against those defendants. Neal F. Perryman argued the case before the Illinois Court of Appeals. On August 3, 2015 the United States Court of Appeals for the Eighth Circuit affirmed the District Court decision to grant a motion for summary judgment in a case brought against our client, Farmers Insurance Group Federal Credit Union (Credit Union), by Michael Falco. Mr. Falco sought $21 million in damages against the Credit Union on claims that the Credit Union violated bankruptcy code. The details of the original case stated the Credit Union granted a line of credit to Mr. Falco, which he used for several years before declaring bankruptcy in 2010. After Mr. Falco emerged from bankruptcy, he failed to reaffirm the loan. The Credit Union was compelled to foreclose on the collateral securing the loan and terminate Mr. Falco's Agent Agreement which meant he was no longer permitted to sell Farmers Insurance products. After a period of discovery, the Credit Union filed a motion for summary judgment. The District Court ruled in favor of Farmers Insurance Group Federal Credit Union. Mr. Falco appealed the District Court's ruling. On appeal, the United States Court of Appeals for the Eighth Circuit found that Mr. Falco failed to address reasons why the original court's analysis was wrong. The three-judge panel concluded the District Court ruling sufficiently expressed specific reasons for granting the Credit Union's summary judgment motion. Lewis Rice has many attorneys with significant experience in Financial Institution and Commercial Litigation, including cases like Falco v Farmers Insurance Group Federal Credit Union case involving compliant lending practices. For more information, please contact a lawyer from Lewis Rice's Commercial Litigation Practice Group. 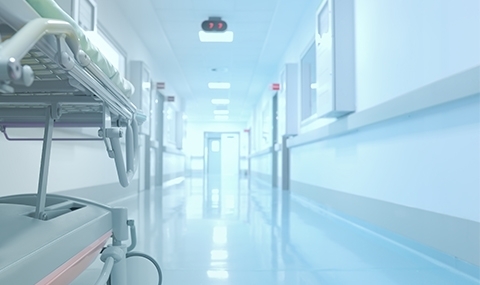 Lewis Rice attorneys prevailed in a challenge to a St. Louis area hospital's decision to remove a physician from its medical staff. In Ralph v. St. Anthony's Med. 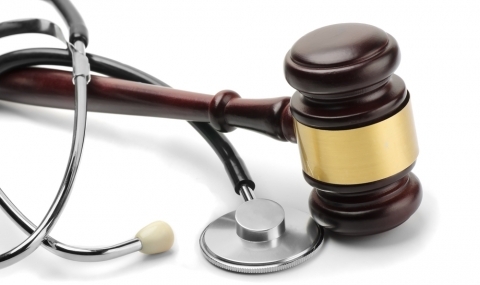 Ctr., the Missouri Court of Appeals for the Eastern District ruled unanimously in favor of St. Anthony's Medical Center (SAMC) in connection with Dr. Ralph's challenge to the hospital's medical staffing privileges decision and provided a clear statement of law in this area. Dr. Ralph had sued SAMC, seeking damages from a claim that it improperly removed him from the medical staff. The trial court rejected Dr. Ralph's claims, and he appealed. Missouri law is clear—Dr. Ralph may only bring an action in equity for injunctive relief to compel SAMC to substantially comply with its bylaws and may not maintain an action for damages premised upon such alleged failure. The trial court did not err in granting SAMC's motion to dismiss Dr. Ralph's Second Amended Petition bringing a claim for damages for tortious interference with his business expectancy." SAMC was represented by Lewis Rice attorneys Neal F. Perryman at the court of appeals and David W. Gearhart at the trial court. Lewis Rice attorneys had previously secured another important victory for their hospital client on this subject. Neal represented SAMC in the seminal case Egan v. St. Anthony's Medical Center, which held that Missouri hospitals should not be subject to actions for damages based on their medical staffing decisions and announced a narrow procedure by which such staffing decisions may be reviewed by courts in equity.